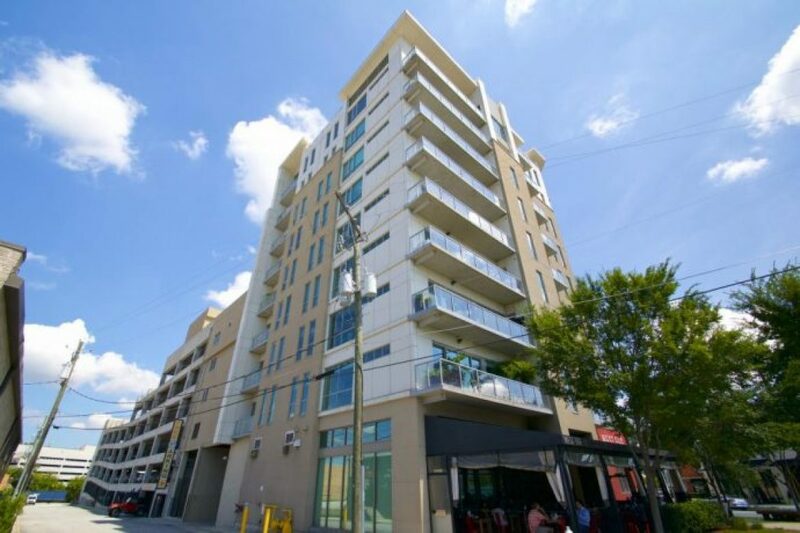 White Provision Midtown Atlanta Condos: White Provision is a 9-story luxury high-rise located in the historic meatpacking district at 14th Street and Howell Mill Road in West Midtown. A joint venture between White Provision Development Company, Weaver & Woodbery and Jamestown Properties, the White Provision project is a great combination of history, architecture and mixed-use functionality in one of the hottest Atlanta neighborhoods. Built in 2009, the White Provision building has approximately 94 units with access to upscale retail and restaurants. The developers had the vision to preserve the historic 1910 brick structure and marry it with the sleek modern architecture of the White Provision Residences. White Provision offers one, two, and three bedroom floor plans ranging in size from 814 square feet to 2608 square feet. There are 12 different floor plans available to accommodate your needs. Features for these condo homes include Kohler fixtures and Kitchen Aid appliances in open kitchens, private walkout terraces/balconies, floor to ceiling windows, walk-in closets, washer/dryer closets, and sleek master baths. White Provision residents are within walking distance to upscale retail shopping, some of the best restaurants in Atlanta, and entertainment venues. This location also provides easy access to some of Atlanta’s best neighborhoods including Buckhead, Virginia Highlands, Midtown, and Inman Park. Downtown Atlanta and professional sports venues are also a quick commute from White Provision.